Switch is a jewelry rental service that lets you try out designer jewelry without the commitment. You pick your favorite pieces and try them out for as long as you want with a monthly fee. This is a review of the 3 pieces at a time plan. Switch also offers the option to purchase jewelry pieces at a discounted member price. For every month that you’re a member, you get a $10 credit that you can use towards the purchase of a piece of jewelry at the special member price. The order is contained in a sturdy black box, perfect for safe storage of these borrowed pieces. Switch will always use USPS First Class mail to send your jewelry unless it weighs more than 1 pound. Each package comes with a prepaid USPS return label so you can leave your return for your mail carrier or drop it off at the post office if you’re the nervous type. Shipping is free both ways, and they just ask that you package it just as you received it to return to them. It’s important to save the mailer and packaging for your return. The Cost: Plans start at $29/month for one piece ($49/month for 2 pieces at a time and $69/month for 3 pieces at a time). Shipping is free with unlimited exchanges. The Products: Designer jewelry with an average retail price of $500. The next card provides instructions on what to do when you’re ready to switch. and sanitized, had its authenticity guaranteed, as well as some other info about the subscription. Minor wear and tear are covered as well! The final two inserts explain how you can refer a friend (for each friend you refer you get an additional $10 towards your membership) and how to purchase pieces if you fall in love with one of them. When you activate your subscription, you get to select the pieces that you want to receive from their available inventory. They’ve also recently incorporated a “favoriting” function where you can star pieces for future selections! I thought that this was going to be a fun, chic piece but it was just too big on my wrist. I also thought that the lock was a bit heavy – no surprise because it made of solid brass! I can’t see myself wearing this as a bracelet, but I could see myself using it as a different type of accessory, maybe adding it as a flair to a handbag strap. My wrist is about 6.25” and the circumference of this bracelet is 7.5” with no ability to size down. I love, love, love this sterling silver rolo link chain bracelet. Each of four the charms feature the Gucci logo in a creative way. It fits my wrist well and is 7″ long. It felt great on, lightweight and delicate and it added some style uplift to many of my outfits this month. I’m living in this piece! Is there such a thing as “too matchy-matchy” when you’re talking about Gucci? I don’t think so. This sterling silver ring is engraved with Gucci motifs including some similarly found on the charm bracelet above. It’s about ¼” wide and fit my ring finger really well. It almost reminded me of my wedding band, and then it dawned on me that this would be an awesome (and affordable!) wedding band if someone was in the market. UPDATE: Thanks for the feedback everyone! First, I apologize for leaving the condition of the pieces out of the initial review. I did specifically order vintage pieces, and I did think they could use some cleaning but considered this is normal wear and tear. In person, I didn’t think the ring was in bad condition, but the bracelet did show signs of tarnish and could have used a polishing. I liked the distressed look of the LV bracelet, I didn’t like the way that it felt on though but thought that it gave it a fun look. I understand where not everyone would agree with me on that point. I don’t know that there’s any indication that these are fake products, I think they’re all legit. I did love both Gucci pieces and I don’t think they look or feel cheap, although I agree that they don’t look brand new either. I would recommend sticking with new products if you want more pristine pieces, I personally like this subscription because of the option to get new or vintage, and I accept that wear and tear is something that I need to expect with their vintage line. The Verdict: I would be hard-pressed to ever have a bad feeling about a sub that lets me borrow essentially unlimited amounts (you can switch your pieces at any time, and have 3 pieces out for $69/month) of this type of jewelry from luxury brands. This month, I loved both Gucci items by the LV bracelet was a miss for me – it just too big and heavy. In this shipment, I tried out $830 of jewelry for $69 – which is about 8.3% of their retail value. That’s a solid deal right there, especially since I’m definitely going to get my use out of 2 of the 3 pieces this month! Can you still get this box if you sign up today? Pieces can get snatched up quickly, and the number of pieces they have per style varies. You may or may not see these pieces in their available inventory list – but you might just see something you like even more! 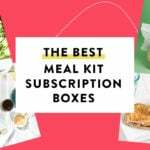 This isn’t a “styled” subscription – meaning you can pick exactly what you want from the available list – it’s not selected for you based on an algorithm or your preferences. Value Breakdown: These three pieces cost $69 to rent, which is a great deal if it works for your budget and needs. It’s pricier than Rocksbox (which offers mid-range designer jewelry) but less than Rent the Runway (which offers designer jewelry, accessories, and clothes, too). To rent just one piece per month is $29, so you’re saving about $6 per piece to go for the larger subscription. The member price for all 3 of these pieces is $635 in total. At retail, they’d cost $830. Members get $10.00 to put toward a piece, so that’s $625 to buy everything, which is around a 25% discount. I’m seriously debating treating myself to an early Christmas gift and purchasing either the bracelet or the ring from Gucci. What do you think?! 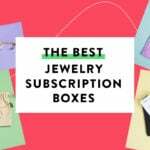 Check out all of our Switch reviews to learn more about this subscription and the Jewelry Subscription Box Directory! What do you think of Switch? How do subscribers rate Switch Designer Jewelry? Do you subscribe to Switch Designer Jewelry? Add your rating now! Hi, I’m Elliott, Co-CEO of Switch. Customer experience is our highest priority and as a young startup constantly looking to improve, we appreciate everyone’s feedback. The condition of these pieces do not live up to our standards. We take full responsibility and we apologize. The Louis Vuitton lock bracelet, like our other vintage pieces, are expected to look a little worn and we believe that adds to their charm. We try to make it clear throughout our website that some pieces are bound to show some wear and that it should in fact be expected when it comes to vintage pieces.That said, this lock was too worn out, even for our vintage standards. There is absolutely no excuse for the Gucci bracelet to arrive in that state of tarnish. Very recently, we’ve noticed that some of our silver pieces become tarnished even though they’re in pristine condition when we pack them. This has to do with oxidization that occurs in transit. We’re working on addressing this immediately by testing out different techniques including shipping them with desiccants and vacuum sealing them so that they’re not exposed to oxygen. As for questions about authenticity, we stand by the authenticity of every piece in our collection. Each piece goes through a rigorous inspection process and if we are ever less than certain that a piece is original, it isn’t made available in our collection. Beyond our rigorous authentication process, we only acquire jewelry from vendors with established reputations. In the interest of full transparency, we want to make it clear that the brass bangle itself is not manufactured by Louis Vuitton. We will look to clarify that on the product page. The lock itself, however, is authentic Louis Vuitton and was repurposed as a charm on this bracelet. This might also explain why it’s a little on the heavier side. Again, we apologize for providing a subpar experience and we will do everything we can to ensure every piece of jewelry we send meets our quality standards. These all look pretty bad. Vintage or not, they should have been cleaned/polished before sending out to anyone else. I could see how this sub might be nice to have for Nov and Dec with holiday parties, etc., going on. I cannot grasp keeping it past huge reasons to have it. Seems like wasted money to me. If you keep anything I would suggest the ring as the bracelet is too damaged to wear out. But perhaps think about cancelling the sub buying the ring new. I have been doing the Switch for over a year now, and I haven’t received any pieces in a bad condition. I agree with everyone that these pieces don’t look well cared for, but this is not normal for Switch sub. I always try to choose among the “new” inventory and, fortunately, I have been quite lucky, because so far all the pieces have been outstanding. I normally get David Yurman and Hermes bracelets. Yesterday I got the Roxanne Assoulin (it’s getting quit popular among fashionsitas), and it was also in a good condition. But, sadly, I do agree, that these ones don’t look good. I think that’s fair, and I should have mentioned in my review that these are vintage pieces, which I quite enjoy on occasion. I agree the silver needs to be polished (the bracelet more so than the ring), but I think the LV is just vintage, and kind of in cool worn condition. I agree with everyone. The pieces should have been cleaned before being rented out. If you’re wearing Gucci, do you want to show off a badly tarnished piece? I do like the ring. The Gucci bracelet is cute, but usually high end bracelets have a safety chain. I’d be afraid of losing this bracelet. these pieces look pretty tarnished. I dont want to sound negative, but these pieces loos pretty cheap. I got it that it is designer jewelry, but they are look like from chinatown. Sorry, dont want to offend anyone, just speechless about look and price of these pieces. I agree. Either Switch doesn’t know how to clean jewelry or these are not real. I thought the same thing. They look like they need a good cleaning. The LV bracelet looked very clunky; like someone literally just put a lock on a bangle. That thing would drive me crazy! This is one of the times when I have to (sadly) question the integrity of some of the reviews. These are glaringly damaged. Would not even buy these from Goodwill in this condition. I apologize, I should have addressed the condition. Honestly, in person, the LV bangle wasn’t something I would wear so I just put it back in the package. The Gucci bracelet definitely does look tarnished, but to me (in person) the ring looks OK. I do not question their authenticity – I believe they are actual pieces and not counterfeit. I also need to note that I specifically selected from their vintage pieces, which I do quite like versus always getting brand new pieces that you could just go out and buy retail. Yeah, it would have been more helpful to note that you specifically asked for vintage. That would definitely explain the condition! I wonder if there is a way to know exactly how vintage they are. It’s always fun to imagine an item’s journey through the years! Seriously. I don’t think this is good advertising for this business. At all. I totally agree and I am actually surprised with those price tags silver and gold and brass should not be wearing off or tarnishing. Granted they are rental pieces so the people are probably not too concerned if the scratch something and might not care for it the way it should be cared for.